Valentines Day Cards Giveaway. All opinions are 100% our own. If you have not checked out our Cute Valentines Sayings and Gift Guide be sure to grab some ideas. If you are not feeling clever there is one place you can always find the right thing to say, the Hallmark Card Section. I can spend an hour looking over all the great cards for any occasion. Valentines Day is no exception, while you should write your loved ones how you feel, sometimes you need a start and Hallmark Valentines Day Cards are just what you need. For some extra writing inspiration check out the #PutYourHeartToPaper site, which just went live recently: www.putyourhearttopaper.com. As the name and theme suggests, the idea is to capture what you want to say to those you love in written form so they’ll have a tangible and long-lasting reminder of how you feel. One of our lucky readers will have a chance to win a pack of amazing Valentines Day Cards to send out to your loved ones both near and far. I took a picture of just a few cards from our Hallmark Valentines Day Cards we were provided. As you can see they are all so very different that there should be no issue finding the right one for your loved ones. 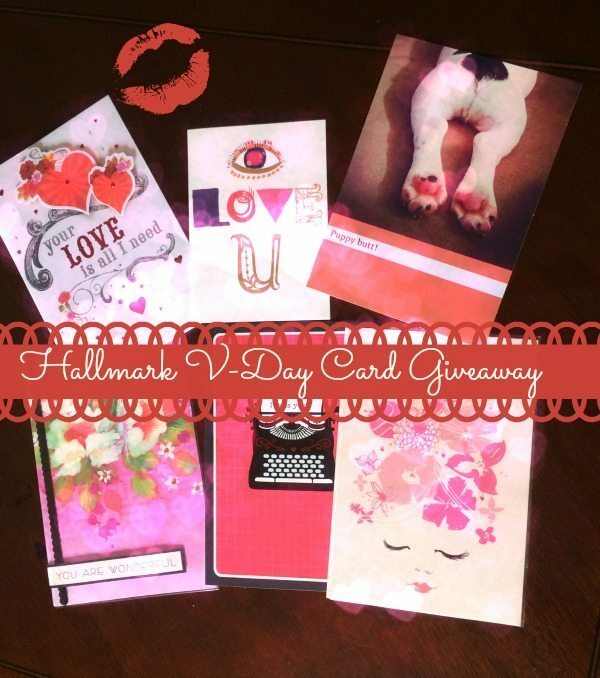 Enter the Rafflecopter below to win a pack of Hallmark Valentine’s Day Cards. This will be a short giveaway so you can get your cards and mail them off in time for the big day.